A huge part of the air you breathe inside your home comes from crawl spaces. This air generally has a temperature that molds actually thrive in. Molds create a musty smell and release toxins that can be harmful for your family’s health. In order to prevent moisture and molds from thriving inside your home, you need to contain moisture and keep your house dry. Sealing crawl spaces, nooks, cracks and crevices with a high quality insulation material can protect your home from airborne allergens, pollution and molds making its indoor quality better. Spray foam insulation prevents mold growth as it keeps the area dry and free from moisture. When there is no moisture, molds are unlikely to form as they need moisture in order to survive. Also, the components of spray foam insulation don’t become a source of food for molds so it’s very unlikely that they can thrive in a well insulated environment. Your home’s “envelope” or shell protects you from outdoor environmental elements. Air can escape through cracks and gaps making your house feel uncomfortable and your energy bills expensive. Unfortunately, a typical residential home has large amounts of envelope air leakage through the windows, doors, and walls, as well as through attics and crawl spaces. Because of this, the comfort and safety of dwellers are sacrificed not to mention the need to pay high electric bills because air-conditioning and heating systems need to work more in order to maintain the comfort level inside. 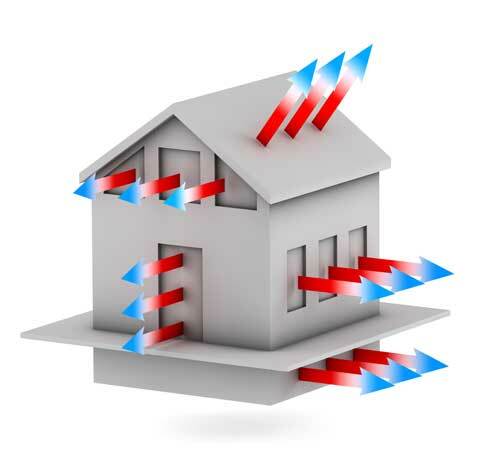 In order to secure the safety of your family and maintain good air quality inside your home, experts suggest that you insulate it. Spray foam insulation is the number one choice of homeowners today as it provides long lasting results and can successfully contain good air quality inside residential spaces. 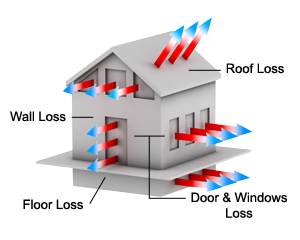 Spray foam insulation provides a thermal envelope for homes. It is an excellent sealing agent that not only bars air from coming in and out but also bars dust, pollens and harmful household mold and mildew. Because of this, you and your family are given a cleaner environment, free from harmful emissions that can cause allergies and diseases. Spray foam insulation can provide life saving benefits by providing a cleaner air quality in your home by creating an air tight barrier that reduces moisture infiltration, mold and mildew growth, pollutants and indoor allergens. To effectively reduce moisture, spray foam insulation can be applied to exterior foundation walls, and under slabs. This provides a thermal protection as well as a moisture barrier to your building without taking up useable space.